When the person you talk to on creation insists that you ‘leave the Bible out of it’, they are really saying the deck should be stacked one way. Briefly, my response is as follows. 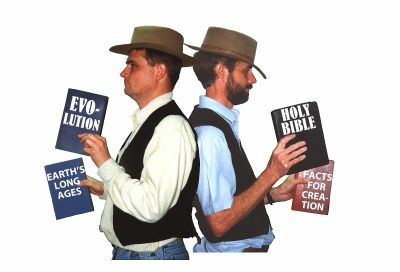 Creationists and evolutionists, Christians and non-Christians all have the same evidence—the same facts. Think about it: we all have the same earth, the same fossil layers, the same animals and plants, the same stars—the facts are all the same. The difference is in the way we all interpret the facts. And why do we interpret facts differently? Because we start with different presuppositions. These are things that are assumed to be true, without being able to prove them. These then become the basis for other conclusions. All reasoning is based on presuppositions (also called axioms). This becomes especially relevant when dealing with past events. We all exist in the present—and the facts all exist in the present. When one is trying to understand how the evidence came about (Where did the animals come from? How did the fossil layers form? etc. ), what we are actually trying to do is to connect the past to the present. However, if we weren’t there in the past to observe events, how can we know what happened so we can explain the present? It would be great to have a time machine so we could know for sure about past events. They are arguing about their interpretations based on their presuppositions. Christians of course claim they do, in a sense, have a ‘time machine’. 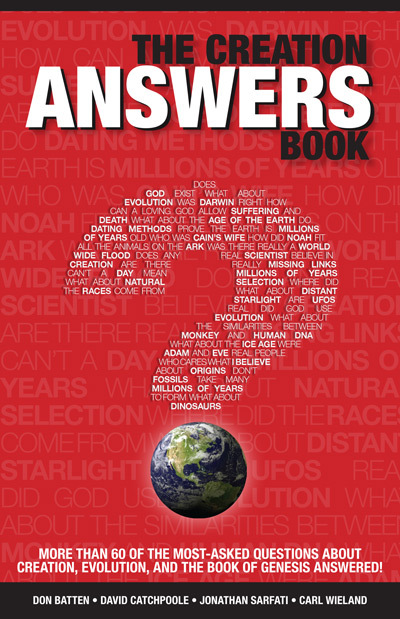 They have a book called the Bible which claims to be the Word of God who has always been there, and has revealed to us the major events of the past about which we need to know. On the basis of these events (Creation, Fall, Flood, Babel, etc. ), we have a set of presuppositions to build a way of thinking which enables us to interpret the evidence of the present. 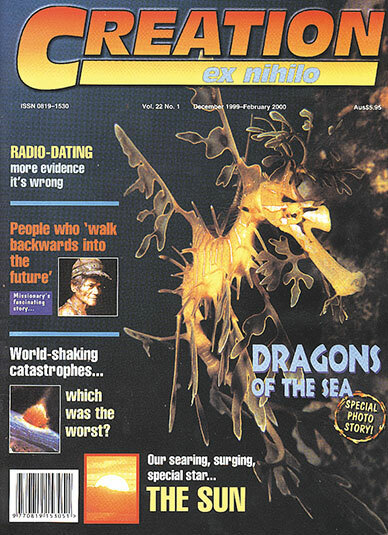 Evolutionists have certain beliefs about the past/present that they presuppose, e.g. no God (or at least none who performed acts of special creation), so they build a different way of thinking to interpret the evidence of the present. Thus, when Christians and non-Christians argue about the evidence, in reality they are arguing about their interpretations based on their presuppositions. ‘No, it’s not obvious.’ And so on. These two people are arguing about the same evidence, but they are looking at the evidence through different glasses. It’s not until these two people recognize the argument is really about the presuppositions they have to start with, that they will begin to deal with the foundational reasons for their different beliefs. A person will not interpret the evidence differently until they put on a different set of glasses—which means to change one’s presuppositions. I’ve found that a Christian who understands these things can actually put on the evolutionist’s glasses (without accepting the presuppositions as true) and understand how they look at evidence. However, for a number of reasons, including spiritual ones, a non-Christian usually can’t put on the Christian’s glasses—unless they recognize the presuppositional nature of the battle and are thus beginning to question their own presuppositions. 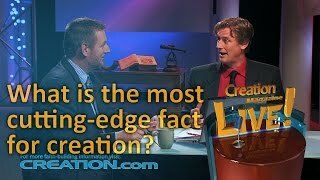 It is of course sometimes possible that just by presenting ‘evidence’, you can convince a person that a particular scientific argument for creation makes sense ‘on the facts’. But usually, if that person then hears a different interpretation of the same evidence that seems better than yours, that person will swing away from your argument, thinking they have found ‘stronger facts’. However, if you had helped the person to understand this issue of presuppositions, then they will be better able to recognize this for what it is—a different interpretation based on differing presuppositions—i.e. starting beliefs. However, when I learned to teach my students how we interpret facts, and how interpretations are based on our presuppositions, then when the other teacher tried to reinterpret the facts, the students would challenge the teacher’s basic assumptions. Then it wasn’t the students who came back to me, but the other teacher! This teacher was upset with me because the students wouldn’t accept her interpretation of the evidence and challenged the very basis of her thinking. What was happening was that I had learned to teach the students how to think rather than just what to think. What a difference that made to my class! I have been overjoyed to find, sometimes decades later, some of those students telling me how they became active, solid Christians as a result. ‘Facts’ are neutral. However, there are no such things as ‘brute facts’; all facts are interpreted. Once the Bible is eliminated in the argument, then the Christians’ presuppositions are gone, leaving them unable to effectively give an alternate interpretation of the facts. 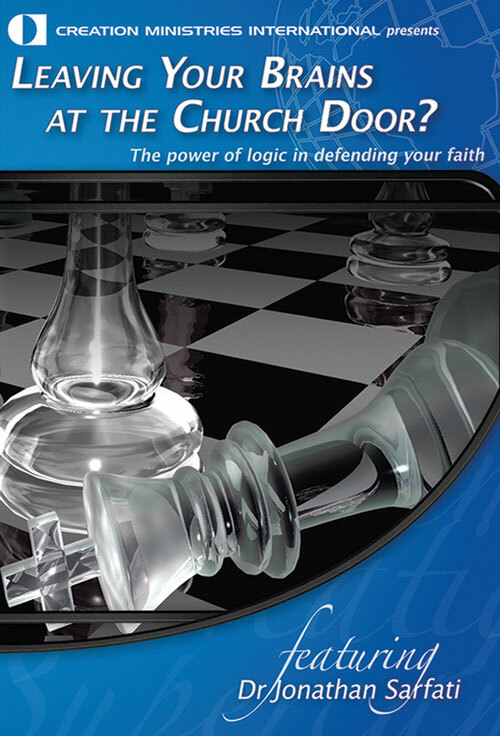 Their opponents then have the upper hand as they still have their presuppositions — see Naturalism, logic and reality. Truth can/should be determined independent of God. However, the Bible states: ‘The fear of the Lord is the beginning of wisdom’ (Psalm 111:10); ‘The fear of the Lord is the beginning of knowledge’ (Proverbs 1:7). ‘But the natural man does not receive the things of the Spirit of God, for they are foolishness to him; neither can he know them, because they are spiritually discerned’ (1 Corinthians 2:14). A Christian cannot divorce the spiritual nature of the battle from the battle itself. A non-Christian is not neutral. The Bible makes this very clear: ‘The one who is not with Me is against Me, and the one who does not gather with Me scatters’ (Matthew 12:30); ‘And this is the condemnation, that the Light has come into the world, and men loved darkness rather than the Light, because their deeds were evil’ (John 3:19). The young man looked at me and blurted out, ‘What was that book you recommended?’ He finally realized that his belief undercut its own foundations—such ‘reasoning’ destroys the very basis for reason. On another occasion, a man came to me after a seminar and said, ‘Actually, I’m an atheist. Because I don’t believe in God, I don’t believe in absolutes, so I recognize that I can’t even be sure of reality.’ I responded, ‘Then how do you know you’re really here making this statement?’ ‘Good point,’ he replied. ‘What point?’ I asked. The man looked at me, smiled, and said, ‘Maybe I should go home.’ I stated, ‘Maybe it won’t be there.’ ‘Good point,’ the man said. ‘What point?’ I replied. This man certainly got the message. If there is no God, ultimately, philosophically, how can one talk about reality? How can one even rationally believe that there is such a thing as truth, let alone decide what it is? This assumption is even defended, as a ‘practical necessity’ in discussing scientific things including origins, by some professing Christians who are evolutionists. Return to text. Agreeing to such terms of debate also implicitly accepts their proposition that the Bible’s account of the universe’s history is irrelevant to understanding that history! Even though our human arguments may be powerful, ultimately it is God’s Word that convicts and opens people to the truth. In all of our arguments, we must not divorce what we are saying from the Word that convicts. One can of course do this with numerous scientific examples, showing how the issue of sin and judgment, for example, is relevant to geology and fossil evidence. And how the Fall of man, with the subsequent Curse on creation, makes sense of the evidence of harmful mutations, violence, and death. Using biblical presuppositions to build a way of thinking to interpret the evidence. Challenging the presuppositions of the other person (many are unaware they have these). Forcing the debater to logically defend his position consistent with science and his own presuppositions (many will find that they cannot do this). Honouring the Word of God that convicts the soul. Remember, it’s no good convincing people to believe in creation, without also leading them to believe and trust in the Creator/Redeemer, Jesus Christ. God honours those who honour His Word. We need to use God-honouring ways of reaching people with the truth of what life is all about. In fact, science could avoid becoming still-born only in a Christian framework. Even secular philosophers of science are virtually unanimous on this. It required biblical presuppositions such as a real, objective universe, created by one Divine Lawgiver, who was neither fickle nor deceptive—and who also created the mind of man in a way that was in principle capable of understanding the universe. [Ed. note: Refuting Evolution, Ch. 1, discusses this in more detail.] Return to text. Philosophy Q&A: How are evolution and materialism related? Is evolution a type of religion?